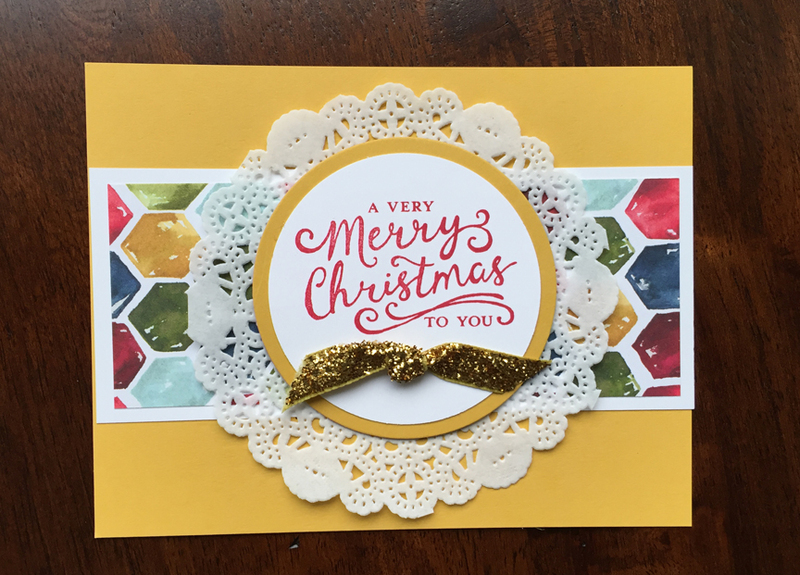 Sherry"s Stamped Treasures: Traditional or Non-traditional Christmas Colors? Traditional or Non-traditional Christmas Colors? Do you prefer traditional holiday colors or do you prefer non-traditional colors? 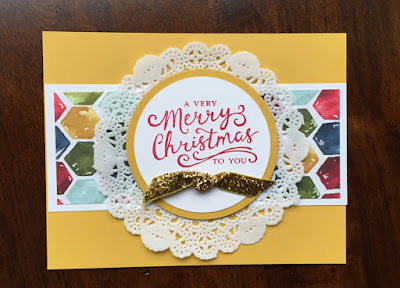 I have a couple swaps to share with you today both using the same stamp set and each with a pop of glimmer but using very different color combinations. Just wondering what appeals most to you? The first one was created by Lisa Bowell. 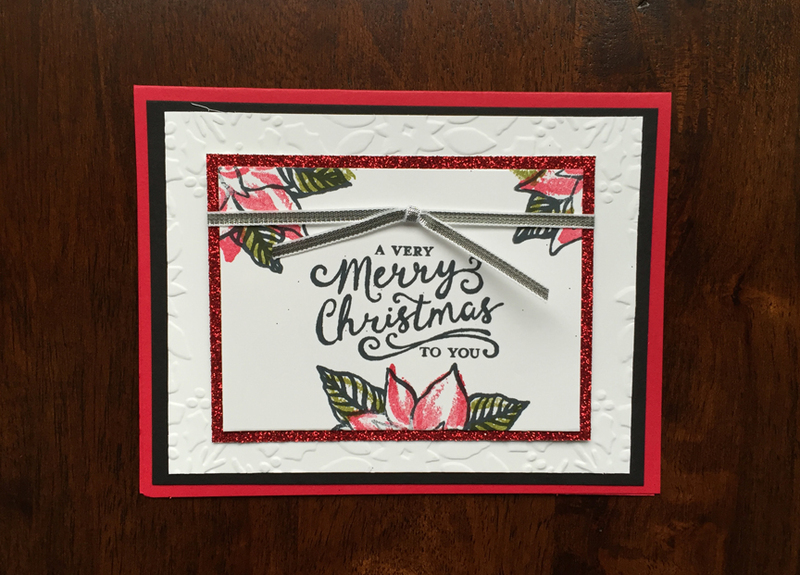 She used the Reason for the Season stamp set from the holiday catalogue, with traditional red and green colors. I love the pop of glimmer behind the focal point, I never think of using my glimmer paper as a mat! The second one was created by Christi Beck using the same stamp set but less traditional colors. Isn't that gold glimmer ribbon fabulous?! Love it! They are both nice cards and amazingly different despite using the same stamp set. 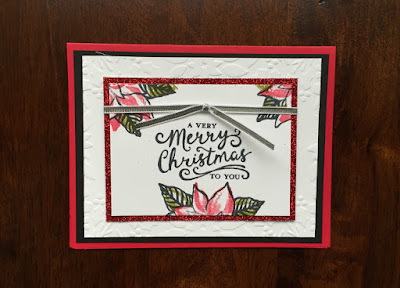 I'm torn - I do like the layout of the non-traditional card, it's cute and would be simple to mass produce and I do like to use non-traditional colors. However the red one is just as nice! It's tough to decide, I like them both! Free Peaceful Pines Christmas Card tutorial when you order $50 or more from my online store during the month of November. 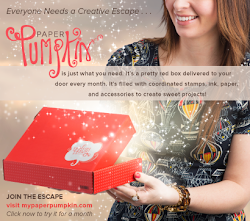 Click on any of the items for more details, pricing or to place an order.